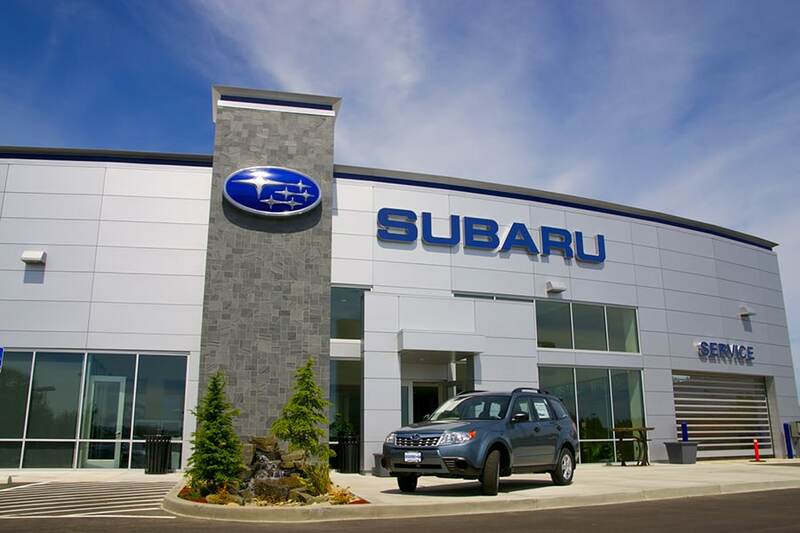 Rairdon's Subaru of Auburn in Auburn, WA treats the needs of each individual customer with paramount concern. We know that you have high expectations, and as a car dealer we enjoy the challenge of meeting and exceeding those standards each and every time. Allow us to demonstrate our commitment to excellence! Thank you for choosing our Auburn, WA Subaru dealership for all of your car-shopping, finance and service needs. Our neighbors in Seattle, Auburn, and Federal Way appreciate our dynamic selection of new and used Subaru's, and expansive inventory of other used makes and models. Our friends in Kent WA and King County WA in need of service will enjoy working with our reliable and responsive mechanics from our parts and service department. And if you're concerned about finance, our patient and friendly finance experts are more than happy to explain the car loan and auto lease process to you. No matter what you came here for, we will make sure you leave with a smile on your face. For new Subaru cars or pre-owned vehicles sales, car loans, Subaru service and Subaru parts, Rairdon's Subaru of Auburn is your destination! Subaru's are known to be reliable, long lasting, and are renowned for their traction and all-wheel drive capabilities and active safety suite. Some of our most popular new models include the Subaru Outback midsize crossover SUV. The latest model boasts all-wheel drive, six trim levels, and two engine options. It is a spacious SUV with plenty of storage options, and the infotainment system is also very intuitive and easy-to-use. The Impreza and Legacy sedans are some of our most sought-after cruisers. They also come standard with all-wheel drive. The Legacy is the more luxurious version of the Impreza. However, both vehicles are affordable options for Auburn, WA drivers. If you're looking for something more affordable than a new Subaru, we also host an assortment of used makes and models. If you don't see what you're looking for, let us know, and our sales associates will find it for you. If we can't locate it, we will recommend a comparable make and model and get you behind the wheel for a private test-drive so you can decide if it's a good fit for you. If you're unsure how the auto finance process works, let us know, and someone from our finance team will help you understand how the car loan and Subaru lease process works. We're here to help you save as much money as possible, and we want you to walk out the door with monthly payments you can afford. After you purchase your vehicle from us, our expert technicians will do their best to keep your new vehicle running like new. Whether you're here for general upkeep, or something more complicated like brake or transmission repair, anyone from our service center is more than capable of getting the job done right the first time. If you'd rather work on your vehicle yourself, our parts department offers a variety of certified OEM Subaru parts. Whether you'd like to customize your Subaru to make it stand out more on Auburn roads, or you need a part for a minor fix you can do yourself; we should have what you're looking for. Just fill out our simple Parts Request Form with your contact and vehicle information and what parts you need. Once you're done someone will be in touch with you shortly to complete the process. Feel free to check out our online inventories at your convenience. If you'd like to see a new Subaru or used car in person, or inquire about financing, parts or service, give us a call anytime at (888) 249-5117. Or you can visit Rairdon's Subaru of Auburn in person at 3025 Auburn Way North in Auburn, WA, 98002. We can't wait to greet you on our showroom floor and help you pick out your next dream car!